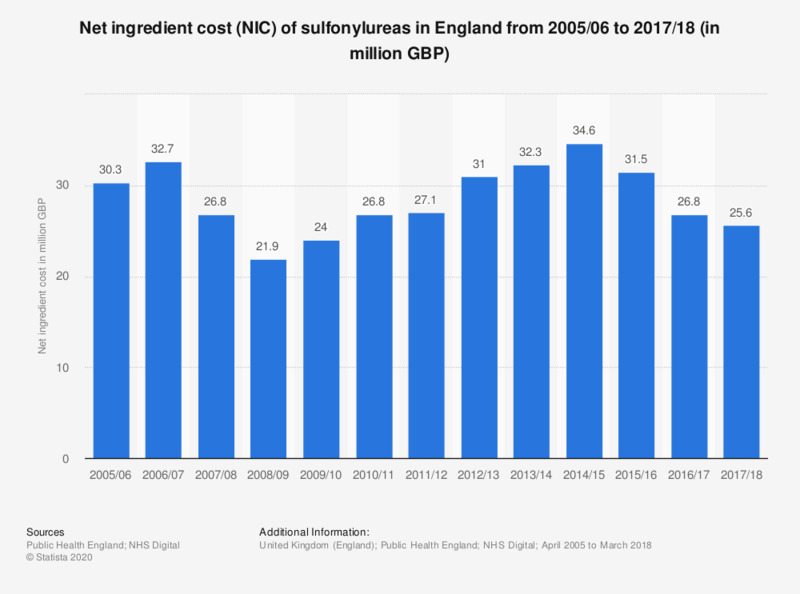 This statistic displays the net ingredient cost (NIC) of sulfonylureas diabetic drugs in England from 2005/06 to 2017/18. The net ingredient cost for sulfonylureas has fluctuated since 2005/06. In 2017/18, the NIC of sulfonylureas was 25.6 million British pounds.